Powered with Corning Gorilla Glass 3 protection on top of the 5 inch display, the Micromax Canvas Amaze Q395 smartphone is now officially listed on the company’s website, although official announcement is yet to be done. Micromax Canvas Amaze Q395 is available on eBay.in at a price of 8K and it packs 13 mega pixel rear camera with LED flash, lacks 4G LTE connectivity. 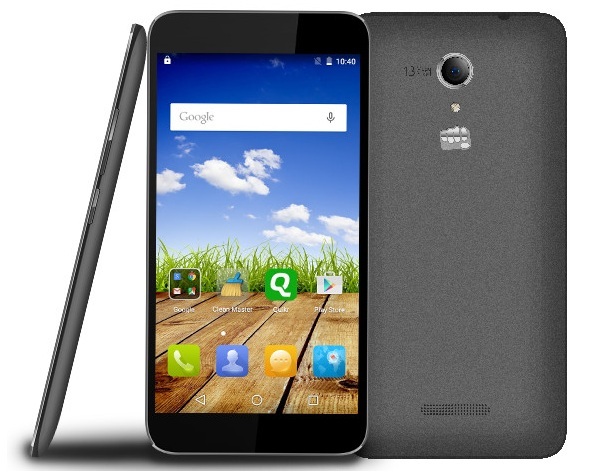 Micromax Canvas Amaze Q395 is priced at Rs 7999 and official launch could happen this week. It’s only available in Black color option.